Cut your Daytona Beach business phone bill by over 50% while adding unlimited calling and improving reliability. CompuSys Hosted PBX provides an enterprise-grade VoIP phone system for Volusia/Flagler area businesses. Delivered from the cloud, it keeps pace with your growth—and propels your business higher. CompuSys Hosted PBX is delivered from the cloud. This means that there’s no software to buy, no wiring to install, and no capital to invest beyond the cost of the phones themselves. Your startup costs are dramatically lower than acquiring an on-premise phone system. You get all of the features and services below for only $29.99/user/month, plus tax. 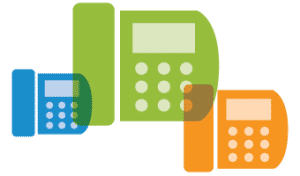 Did you know VOIP can save you 50% or more?